Ever since the dawn of social media people have been trying to gain likes, retweets and hearts whatever way they can. Whether to feel extremely special or just because of pure boredom, people from all over the world have started getting out of their comfort zones in order to prove themselves in front of the wide audience that is the internet. 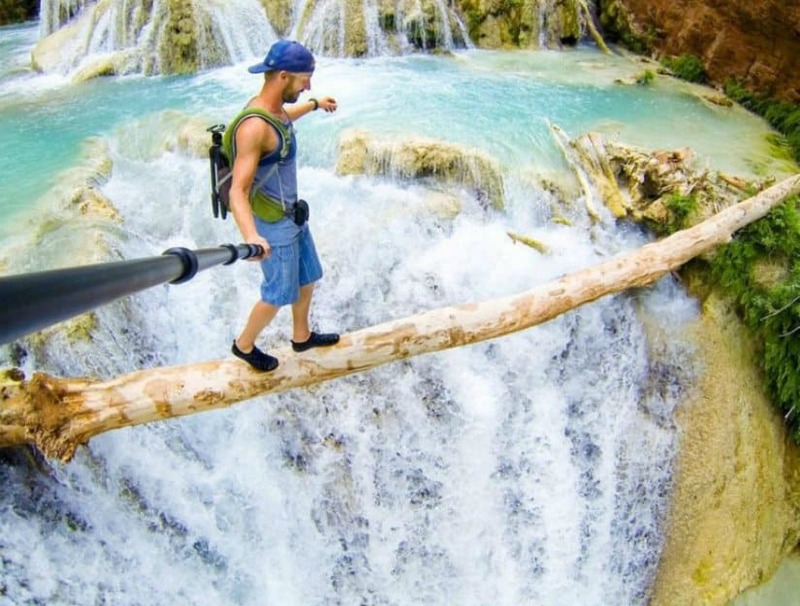 Regardless of the consequences, these 10 completely ordinary folks have decided to go to a completely shocking level of extremes in order to capture memorable selfies with which to impress their friends. Crazy or not? You decide! 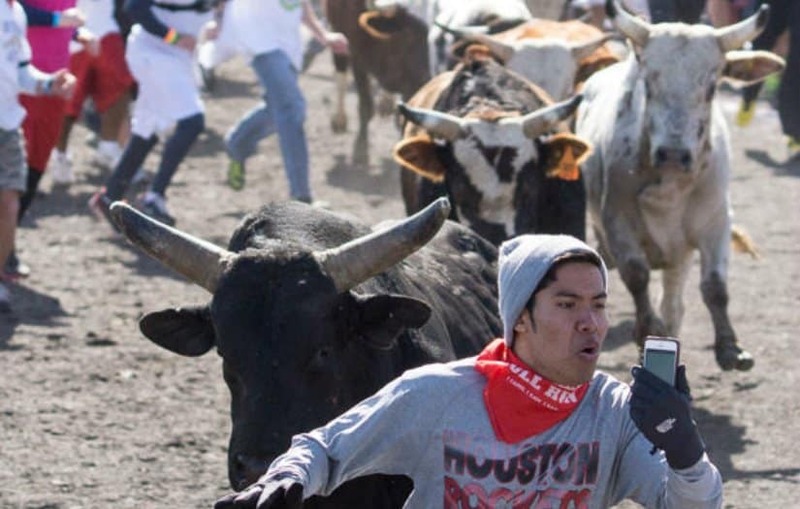 Participating at the annual Bull Run at the royal Purple raceway in Baytown, Texas, this ordinary guy going by the name of Christian has decided to take one of the most extreme selfies in the world. 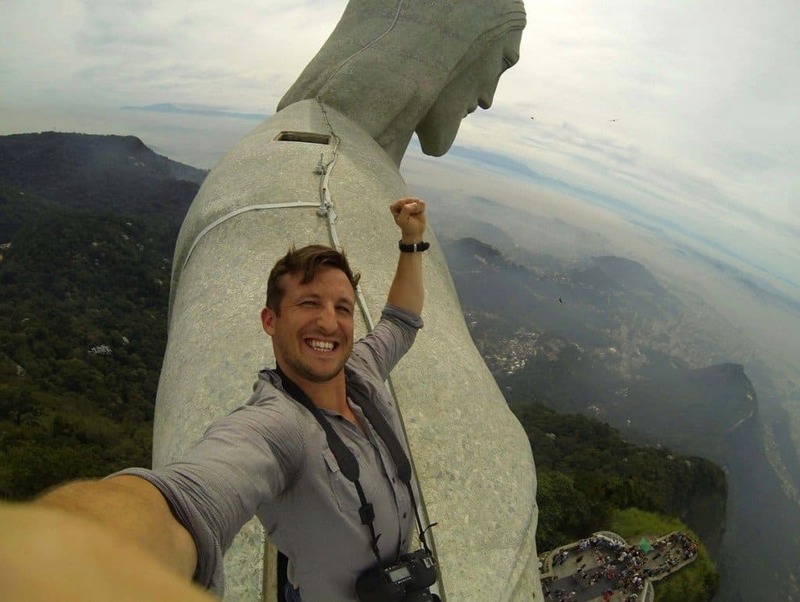 There are a number of extreme selfies taken at high places, but photographer Lee Thompson decided to do what seemed quite impossible – take a selfie on top of the infamous Rio de Janeiro’s Christ the Redeemer Statue. 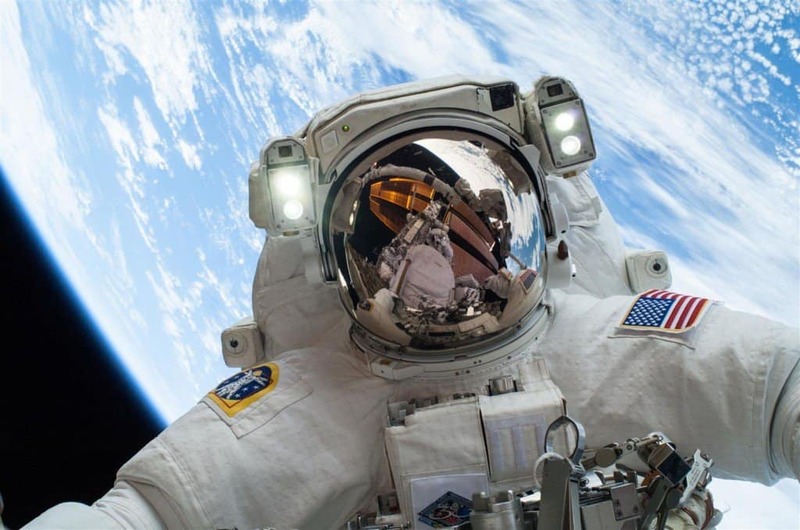 Whatever you might try in order to take your selfie game to the extreme, you’d never reach the likes of Mike Hopkins, who has taken a selfie, which is quite literary out-of-this-world. He took this selfie on Christmas Eve, back in 2013! Taking a selfie in outer space may be cool, but Earth has its special dangerous spots as well! 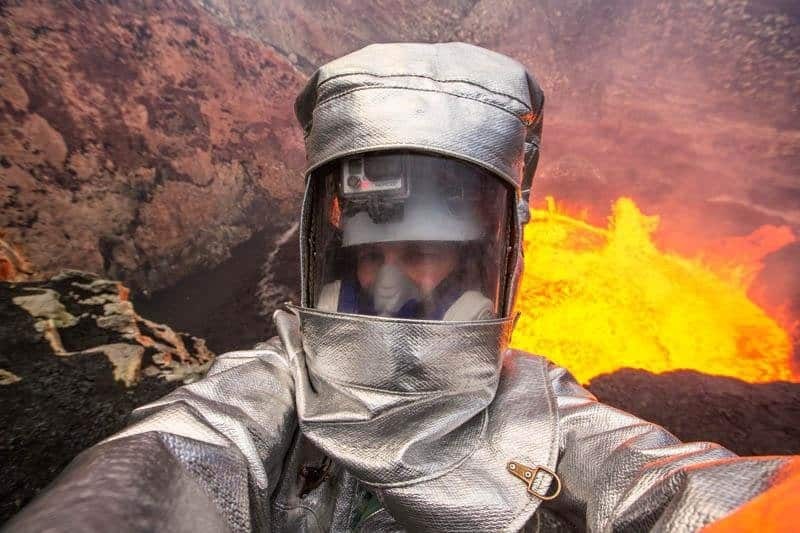 The adventurer George Kourounis descended down the Marum Crater of the active Ambrym Volcano in Vanuatu just for the selfie, but it was totally worth it! Cliff jumping is already quite a dangerous activity. However, this girl has decided to both capture this memorable moment and make the activity a bit more extreme – by taking a selfie using a selfie stick. As previously mentioned there are a number of extreme selfies taken on rooftops on building all around the world. 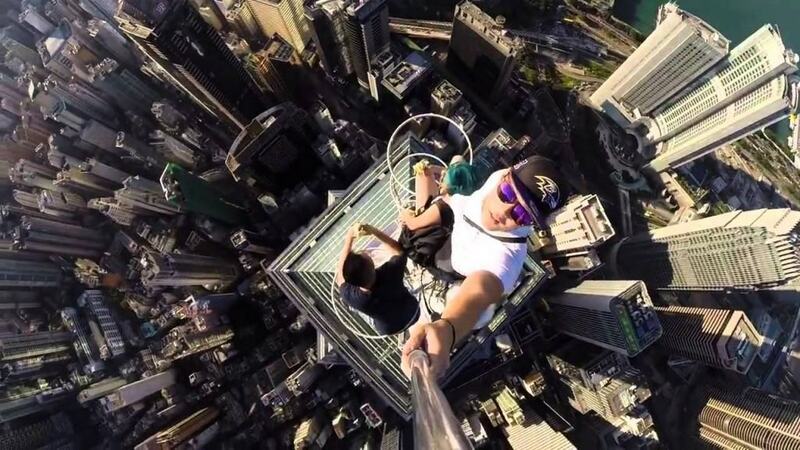 However, Daniel Lau managed to frighten the world by giving all a taste of the dazzling Hong Kong shooting a selfie from a top of a 1,135-feet-high skyscraper. Balancing acts are hard enough without having a selfie stick. This guy managed to take this breathtaking selfie using a GoPro at the Beaver Falls in Arizona, proving he’s a true daredevil. 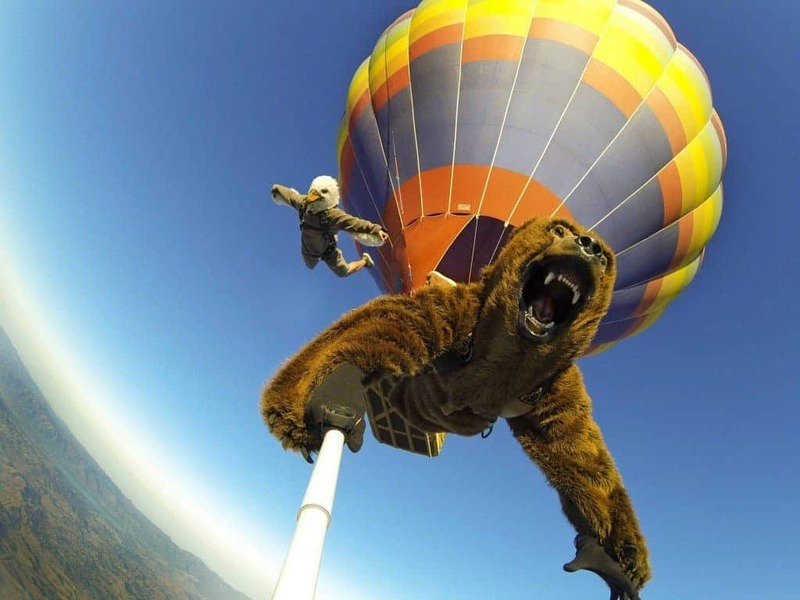 Parachuting selfies are becoming quite common as well, but this guy managed to take not only an extreme parachuting selfie, but also do it in style – by wearing a bear costume and by jumping off a hot air balloon. This may look like a digitally altered image, but it isn’t. 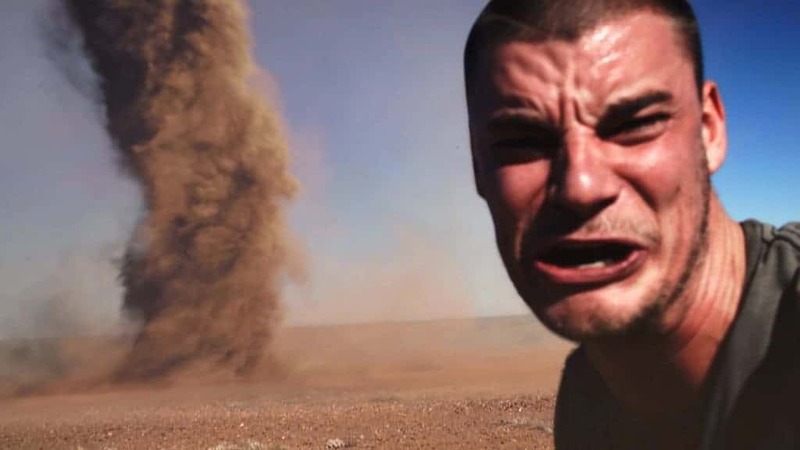 Dubbed a true daredevil after capturing this selfie, this Australian man was driving in the outback and when he saw this crazy tornado, he simply got out of his car and captured this extreme selfie. 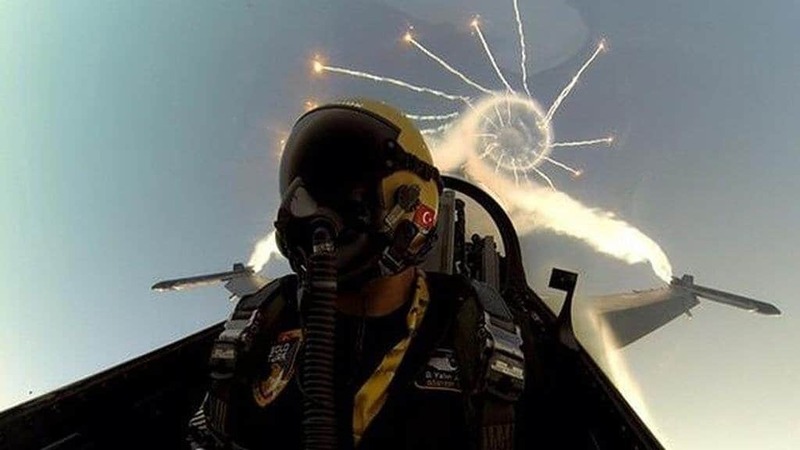 During an extreme aerobatic flying display in Cyprus, one pilot decided to take this extreme selfies, when he released flares, while completing a series of drives and turns. Truly dazzling, breathtaking and simply astounding!